This short guide was written to help MacBook users utilize TamoSoft wireless 802.11 capture software on their notebooks running macOS. You can install and use TamoGraph Site Survey or CommView for WiFi inside a virtualized Windows OS running as a guest operating system on a Mac. 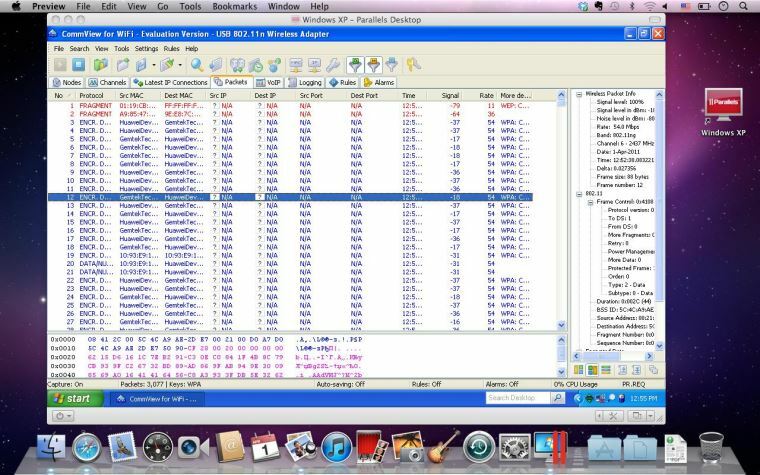 In order to do that, you will need virtualization software, such as VMWare, Parallels Desktop for Mac, or Virtual Box. Note, however, that TamoGraph Site Survey is now available as a native macOS application; you may want to run the macOS version of the application without virtualization. As a guest Windows version, you can use Windows 10, Windows 8, or Windows 7, although we recommend Windows 8 or Windows 10 for the reasons explained below. To use TamoGraph for passive surveys and to use CommView for WiFi, you need a compatible adapter. When you run our software on a Windows notebook, you can use any of the compatible adapters in different form factors. The list of compatible adapters can be found here. When you run TamoGraph or CommView for WiFi inside a virtual Windows machine, you can use USB adapters only. Please refer to the adapter list to find the USB adapter you are going to use. We strongly recommend that you choose an adapter marked "Recommended." They are also always available from us directly when you buy the boxed version. If your virtualization software supports USB 3.0 emulation (which is the case if you are using VMWare or Parallels Desktop for Mac), be sure to use USB 3.0 emulation rather than USB 2.0 emulation, even if the USB port and the Wi-Fi adapter you are going to use are USB 2.0. Support for USB 3.0 requires Windows 8 or Windows 10 as the guest OS. USB configuration in VMWare is illustrated below. Plug in the USB adapter into your computer. Once the adapter is plugged in, you will need to configure your virtualization software to use the detected USB device, i.e. disconnect it from the host OS and connect it to the guest OS. The configuration method depends on the specific virtualization software that you use; please refer to the related documentation. 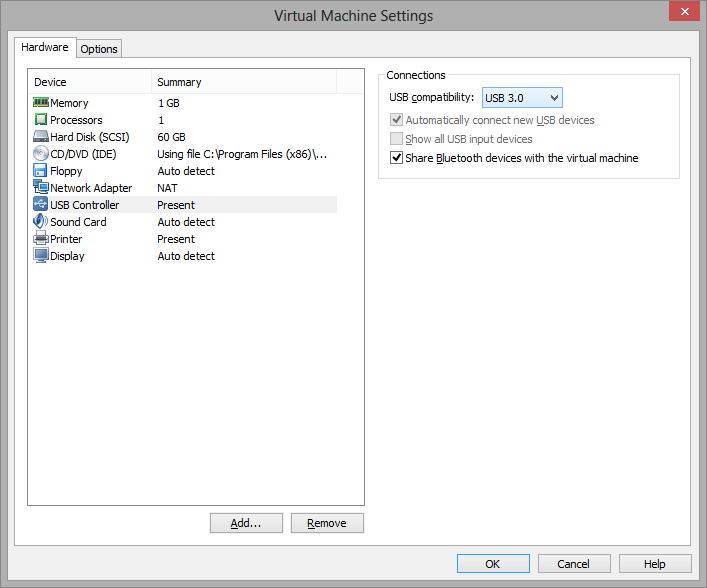 After the virtual machine takes control of the adapter, Windows will notify you that a new USB device has been found and will try to find the driver for the device. Click Help => Driver Installation Guide in TamoGraph or CommView for WiFi to find the instructions for installing our special packet capture driver. Once that driver has been installed, you can restart the application and use it, as shown below.